Hello coders, In this tutorial, I will show you a demo code about Angular 6 CRUD Example Tutorial From Scratch. Angular 6 Stable is released some days ago, and now it is the time to create a demo application using Angular 6. You can find more about Angular 6 on their official documentation. #1: Install Angular 6 using Angular CLI. #5: Make a form in the create a component file. #7: Create services to send http requests. #9: Create Express routes for our application. #10 Add ReactiveFormsModule at the Angular. #10: Display the data to the frontend. #11: Edit and Update the Data. After this tutorial, we will be able to understand how Angular Router, Components, and HTTP request works. 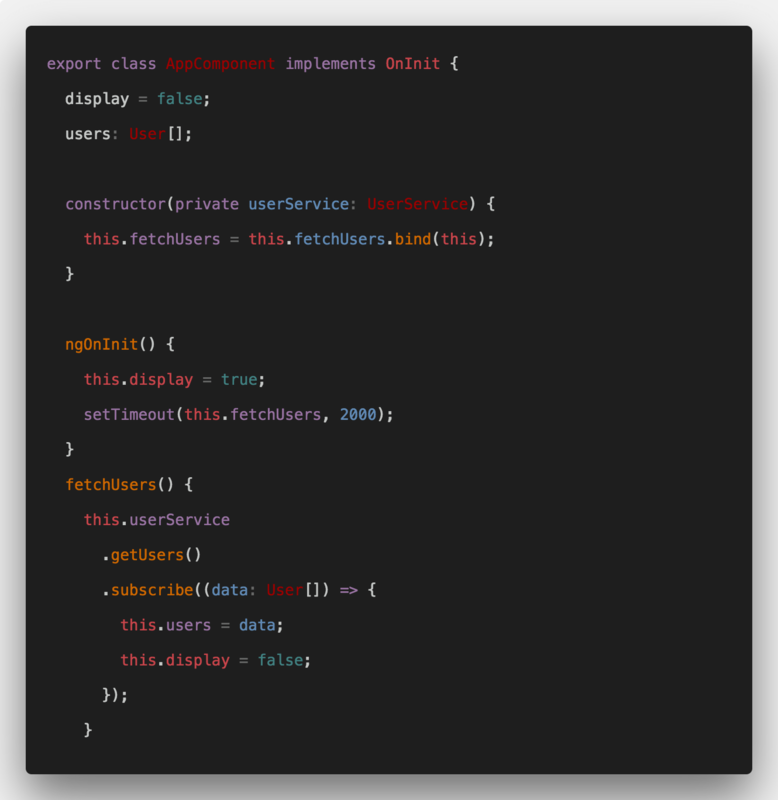 We build a fully functional CRUD application in Angular 6. So it is straightforward to follow as well. We will start our tutorial by installing the Angular 6 using the Angular CLI. Quick note: You have already installed Node.js on your machine. Otherwise first install it and then continue here. 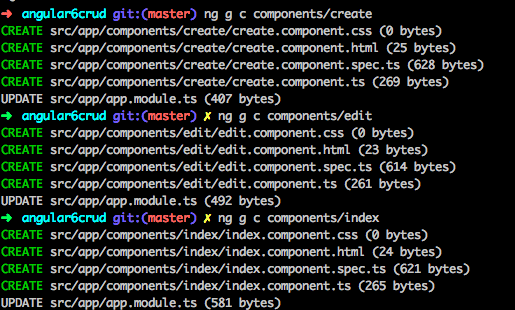 Install Angular CLI globally on your machine using the following command. If above command installation fails then, please run the above command in administrator mode. First, create one folder called components inside app folder. We can create our components using the following command. All the components are created inside components folder. The app.module.ts file will be automatically updated. Inside app.module.ts file, create one array called routes and then add the object that contains route path and route component. Also, import the RouterModule and Routes component. Now, we can include the <router-outlet> inside an app.component.html file. Now, you can see the components based on routes. For example, if you browse http://localhost:4200/create then you can see “create works!” in your browser. Download the bootstrap from its original docs and paste the CSS and JS folders inside src >> assets folder. In the src >> index.html file, add the bootstrap css file. Also, add the navigation and change the app.component.html outlook due to bootstrap classes. Inside create.component.html file, write the following command. So your create game form looks like this. Go to the app.module.ts file. Include the HttpClientModule in it. It will create the following classes. So, your basic game.service.ts file looks like this. Now, import the game.service.ts file into the app.module.ts file. Now, we need to install the express web framework and other dependencies via NPM, so let us do it first. Also, we need to add nodemon server as a development dependency. Switch to newly created server.js file and enter the following code into it. Next thing is we need to create a MongoDB database and connect it with our node.js application. Create one config folder inside project root. In that create one file called DB.js. Import this DB.js file into our server.js file and use mongoose library to set up the database connection with MongoDB. Save the file and go to the cmd and start the node.js server using the following command. Now, We have total three servers are running. Now, we need to create two folders in a root called routes and models. In models folder, create one model called Game.js. In the routes folder, create one file called game.route.js. I have written all the logic that can create, read, update, and delete the data from the mongodb database. Include this Game.js model inside a server.js file. 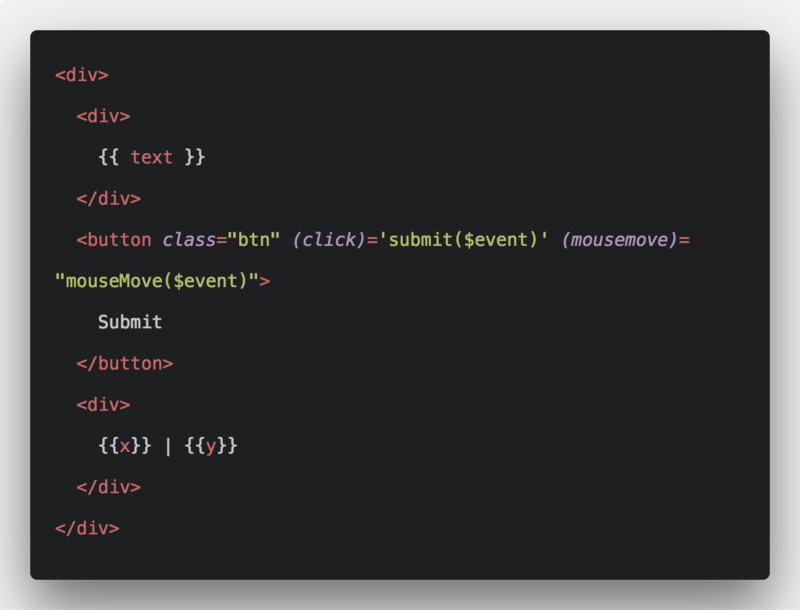 Inside app.module.ts file, add the ReactiveFormsModule from @angular/forms package. Then, we are validating the forms. So first write the form HTML in the create.component.html. Also, we need to write logic of the validation in the create.component.ts file. Here, till now, we have used the addGame() function, but not created inside game.service.ts file. So, let us create that. In this function, we have sent the HTTP Post request to the Node.js server and try to save the values in the database. Now, go to the following URL: http://localhost:4200/create. So, in the database, we can see that our value is inserted correctly. In the index.component.html file, write the following code. Now, inside index folder, create one file called Game.ts. It is an interface, which tells the Angular application that, which kind of data is on the backend that we need to display at frontend. Now, inside game.service.ts file, we need to write a function that fetches the data from the MongoDB database and display at the Angular 6 Application. Moreover, finally, we need to update the index.component.ts file. Now, add one more data into the database and switch to this URL: http://localhost:4200/index. Now, first, we need to fetch the data from the MongoDB database based on a _id, display the data in the edit form. So first, edit.component.html form looks like this. Write the following code inside an edit.component.html file. Inside edit.component.ts file, write the following code. Finally, our game.service.ts file looks like this. Below image is our Edit layout. Now, update the data. So write the following code inside game.service.ts file. We will write the update function inside game.service.ts file. Now, write the following code inside edit.component.ts file. So, if you find no error on the console, then you can successfully update the data. I have already written edit and update service to make an API call. So till now, Create, Read, Update is complete. Now, take a look at Delete. Now, I am coding the whole index.component.html file. Now, write the deleteGame function inside index.component.ts file. Finally, write the deleteGame function inside game.service.ts file. I have written the whole file and finally our Angular 6 CRUD Example Tutorial is over. If you have any doubt in Angular 6 CRUD Example Tutorial, then ask in a comment below. Hi, Thank you for sharing the code. I am just trying to configure and run the application. I am getting following errors. Can you please help? Please start the node.js server. thanks a lot, i’m very new to web app developing, and this tutorial helped me to understand the basics of CRUD. Thanks a lot for the Application. I’m Facing an Issue While Adding. Hi Admin, Thank you for this grate tutorial. But I have not knowledge of Mongo DB and NodeJS. So Can you provide me a tutorial of CRUD Tutorial in Angular 6 with PHP And MYSQL Database. so can you please post that tutorial also. Hello sir i am looking for a tutorial on MYSQL with NODE.JS & ANGULAR. So can you please make a tutorial on CRUD operation in MYSQL with NODE.JS & ANGULAR. Gets rid of the mongo error, but when I add a new Game I dont get a “done” message in the nodemon terminal even though (using mongo compass) I can see the new record in the mongo database? Why does nodemon not report the “done” message as it should from your code. Anything else I could try? First, please disable the adblocker if running and then check all the three servers are running and then try to submit the form. let game = new Game(req.body) (error: value is never read) error must be here? Hey, where update store of todos after delete item of todo? Is there any chance you can explain how to do this with an Oracle db instead of mongo? I’m trying to populate a table from my oracle database then have users modify the entries. I have done other CRUD tutorials .But therein i have not used both angular development server and node js server. I simply need to run Node server command . But in this tutorial why i need to use ng serve along with node server ? And in my code after updating the game i cant dex the updated values in the index page. I need to refresh the page.